Once the runbook is created we will need to create a Service Request template with the Runbook Automation Activity in it. To do this go to the library setctions and select new template and chose the Service Request class. Inside the template add your runbook template make sure the SMA Runbook and Status are set correctly. 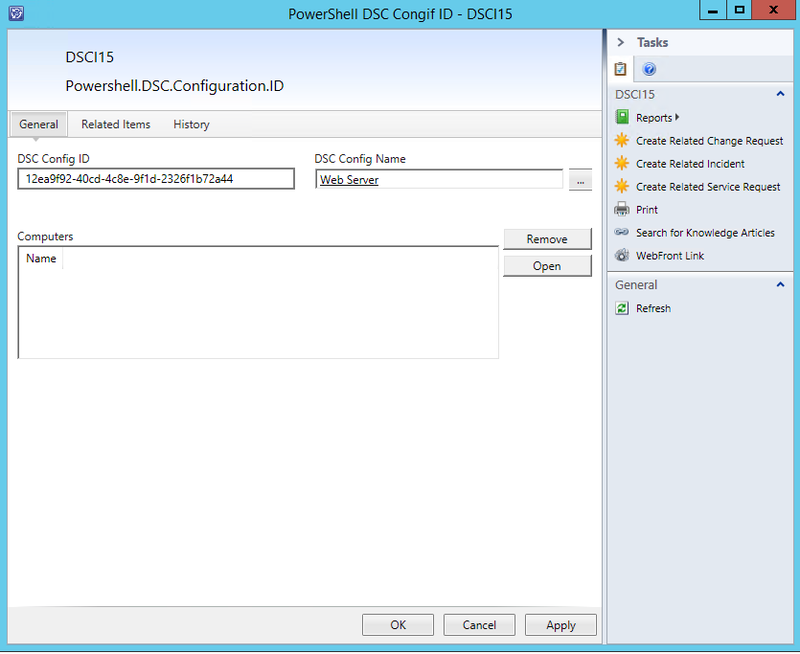 Now that we have our templates created we can create the request offering to deploy the DSC config to a server. To create a request offering open up the SCSM console navigate to the library tab select all request offerings then create request offering. Now give the request a title I used Server Type Request since they are requesting a DSC configuration type. Then select the Service Request Template we created earlier. What server do you want to deploy? What configuration do you want to deploy? Both with the prompt type query. Next make sure to map both query results a related item.